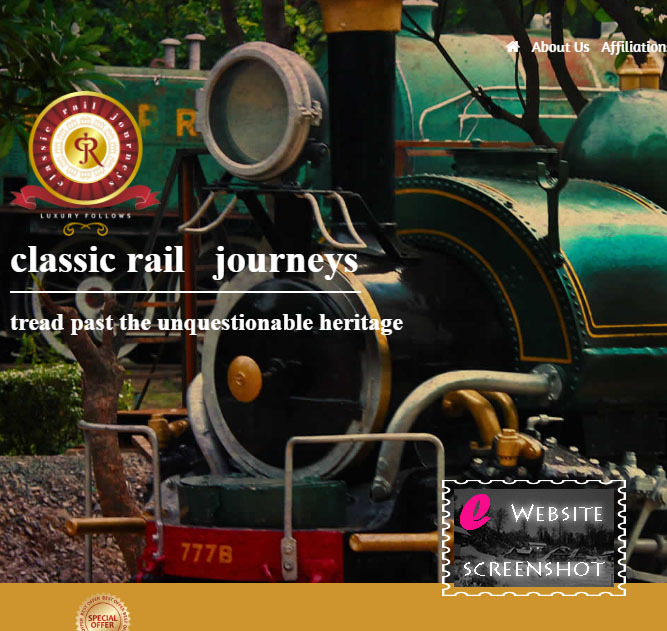 Classic Rail Journeys, India’s premium rail operator of exclusive heritage trains. CRJ is all about personalized rail tours, transporting one to the days of yore. It offers an exceptional opportunity to visit India’s most incredible places in private suites of classic heritage trains. We are General Sales Agent for Palace On Wheels, Royal Rajasthan on Wheels, Golden Chariot and Preferred Sales Agent for Maharajas’ Express.